Here you go Race Fans! 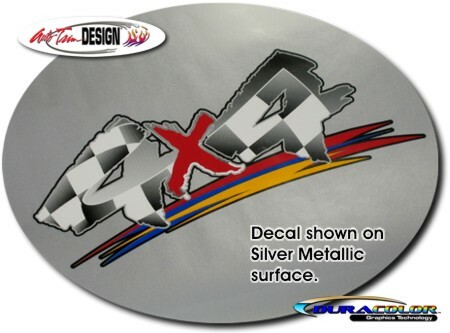 Uniquely designed with the flying Checker Flag, this decal set sports bright colors such as NASCAR and IHRA logos. Thermally printed with our DuraCOLOR Graphics Technology, colors of the decal include Red, Yellow, Blue, Black and Black Fades as shown in the image. This decal product is manufactured from premium cast adhesive-backed automotive grade vinyl materials.